Verbena, or also known as Vervain, is popular among all gardeners, home or market. These beautiful plants bloom unique clusters of brightly colored flowers. This easy to grow and care for plant is perfect fo hanging baskets, patio containers, rock gardens, as a groundcover and of course as cut flowers! 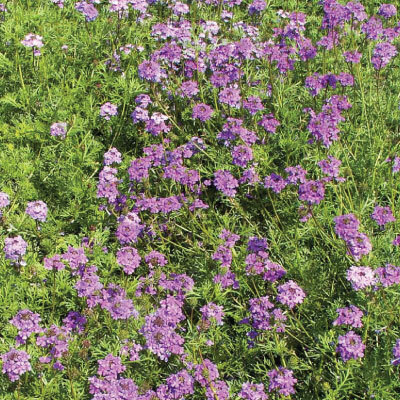 The Purple Moss Verbena blooms all summer long with violet or purple flowers on spreading plants that has a fern-like and attractive foliage.